The students get a look at the intricate carvings aboard the waka. 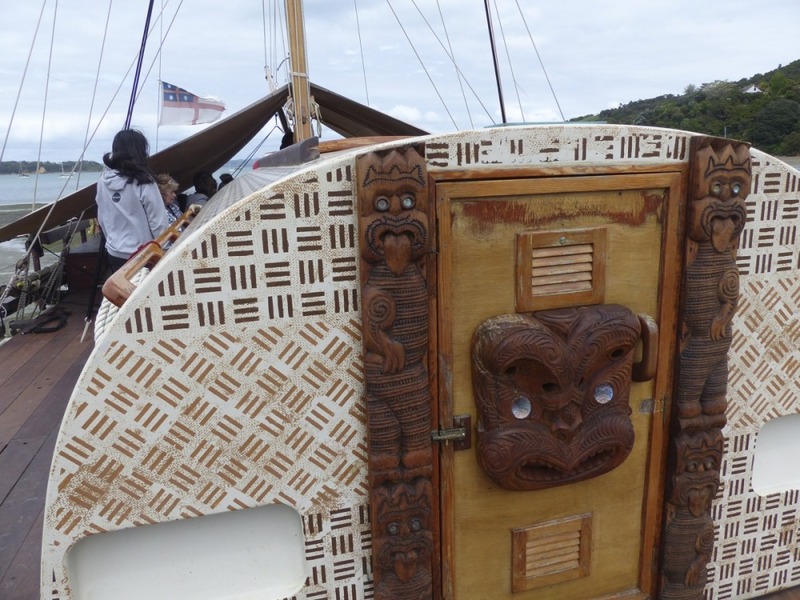 It was no average day at school for some lucky Waiheke students last week as they got to tour the 22-metre Polynesian voyaging canoe Haunui Waka and get first hand experience of historic waka culture and navigation. 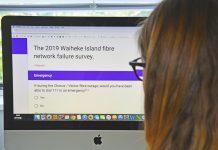 Last Tuesday and Wednesday, 260 students from Waiheke Primary School, Waiheke High School and Te Huruhi School were invited to climb aboard the waka at Blackpool Beach and take part in five other workshops organised by the crew and navigation experts at Piritahi Marae. “It’s been amazing. We’re really looking at how we can make this happen again. 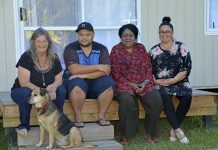 All the feedback we’ve had from the schools and marae communities is ‘how can we make this longer and have more of our kids to do it?’” said waka tour manager Marama Beamish. 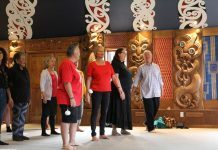 The workshops covered marine studies, environmental issues, waka history and culture, maramataka- the Māori lunar calendar – and students were coached in celestial navigation inside a pop up star dome. “Our operators can manipulate the view of their screen to show the kids how to find particular constellations and how to use those constellations to find compass directions. From there, you can start to introduce them to the idea of celestial navigation and how to find your way across the open ocean on a sailing vessel without modern instruments,” said Marama.